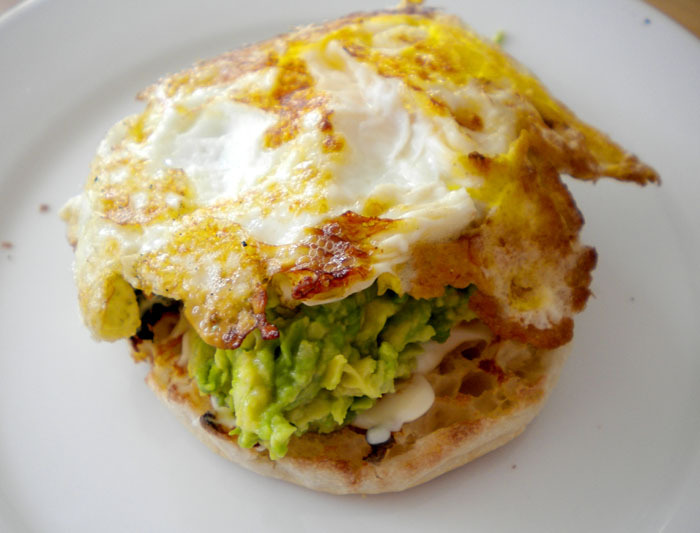 Fried egg sandwich, which is basically a toasted English muffin, some mayo, some smushed avocado, and an over- hard fried egg. It was surprisingly good. I don’t really know what to call this so I’ll call it a potato bowl. 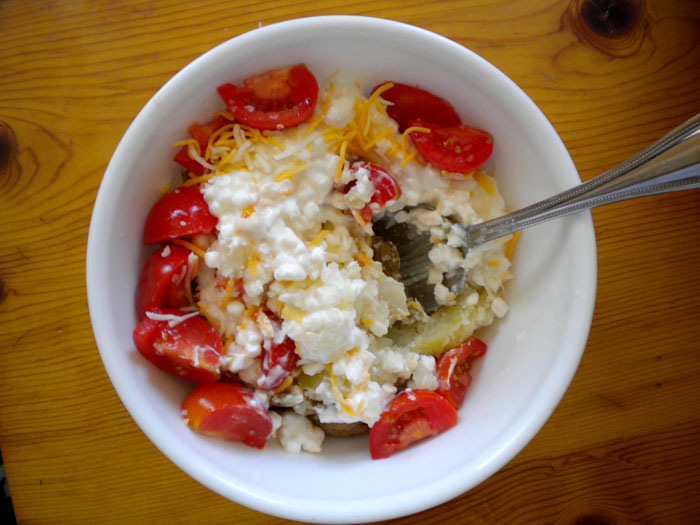 It’s a baked potato (microwaved, actually), with cottage cheese, cheddar cheese and tomatoes. Again, surprisingly good! I made a few other things but I’m going to wait till next week to talk about them.